The wallpaper table kit has weight of 40 lbs. 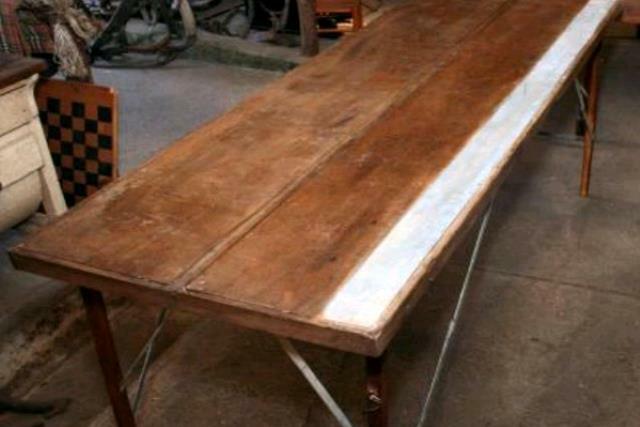 The table itself is 6' long, 24" wide and 32" high with a 2' width. Includes: trimmer, cutter, scorer, seam roller, straight edge, trimmer bar, sheers, paste brush, smoothing brush. Used for hanging wallpaper.